The MBA students of Amrita University attended a colloquium on ‘The Collective Verbs: Policymaking and Play’ conducted by Sruthi and Harish on March 4, 2017, at the University campus. Anirudh and Harsha met with a delegation of universities from Australia visiting IIIT-B to discuss potential research collaborations on March 16, 2017. 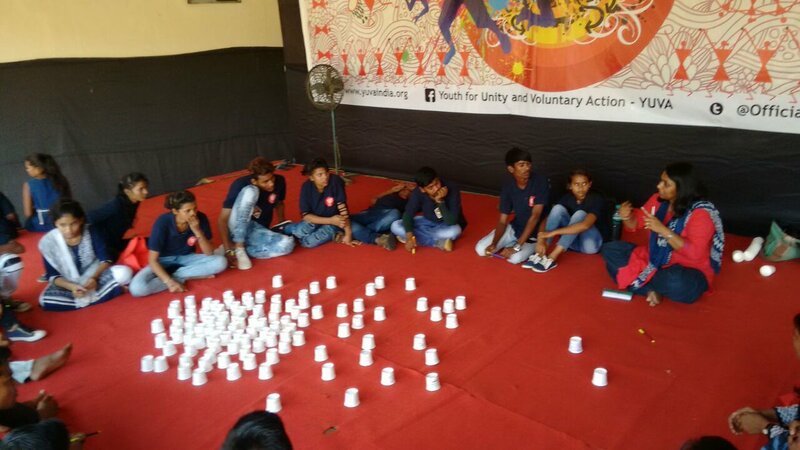 Yuva, which stands for Youth for Unity and Voluntary Action is a voluntary developmentorganisation focused on empowering marginalised communities in both urban and rural areas.Working toward an inclusive Mumbai, Yuva works with young people to increase their participation in urban governance, and the Making Mumbai festival on co-creating an inclusive city was organised on March 26, 2017, at the Mahim Nature Park, Mumbai, in this context. 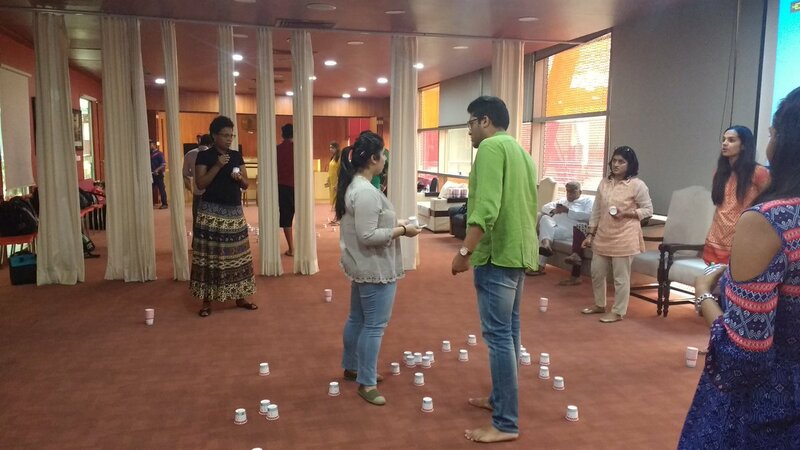 Fields of View conducted two game sessions at the Making Mumbai fest. 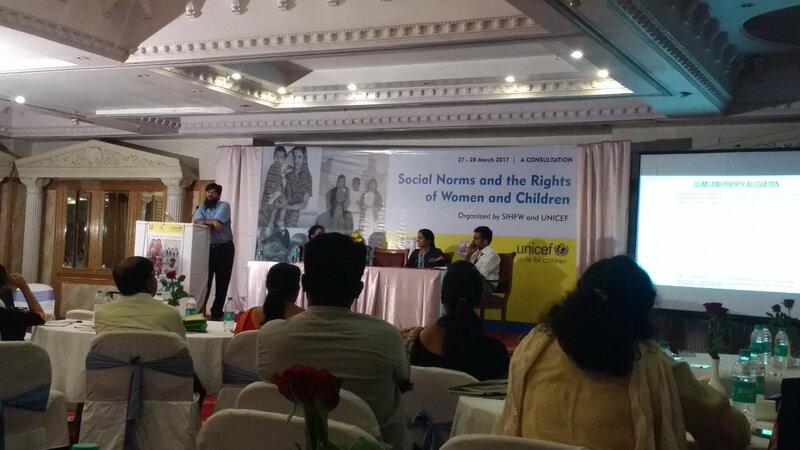 UNICEF field office for Andhra Pradesh, Telangana, and Karnataka in collaboration with State Institute of Health and Family Welfare (SIHFW) organized a consultation on ‘Social norms and the Rights of Women and Children’ on 27th and 28th March, 2017. On Day 2 of the consultation, Bharath was part of a panel discussing ‘Emerging issues and social norms’, and gave a talk on ‘Changing dynamics of norms in urban slums’. During the second half of Day 2, the Fields of View workshop was conducted by Bharath and Sruthi for 30 participants from different civil society organisations. 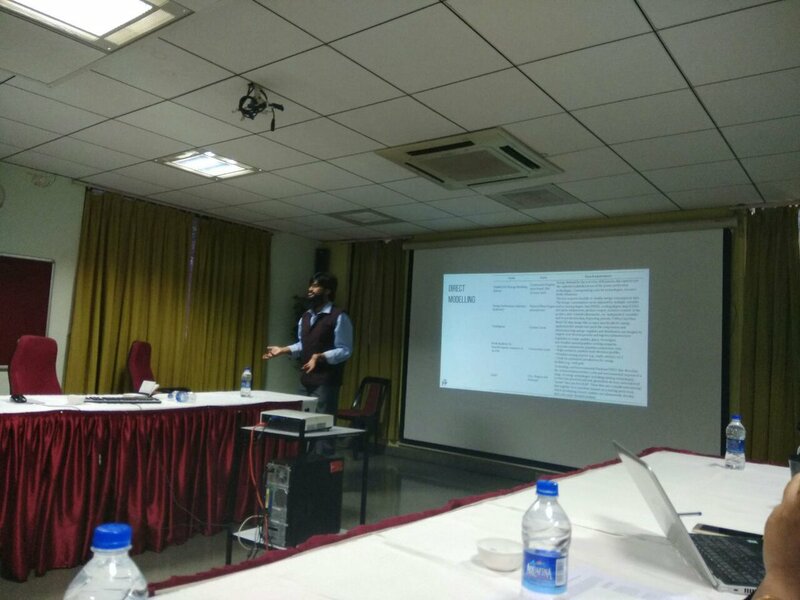 Harsha and Harish attended a two-day workshop on ‘Using AI for social good’ organised by IISc and DRDO on April 17th. The Global Editors Network (GEN) in association with Deccan Herald organized a hackathon ‘The Bengaluru Editors Lab’ where the prototype ‘Potli - follow our money’ created by the Fields of View team was awarded a special mention by the jury. 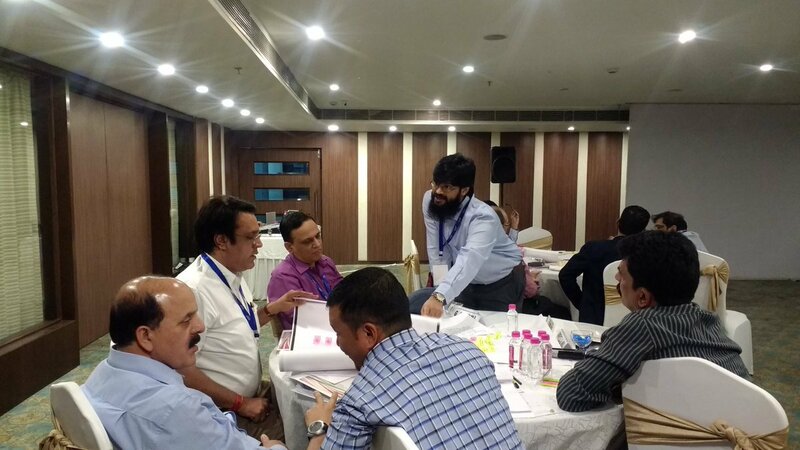 A course on infrastructure regulation for South Asia Forum for Infrastructure Regulators (‘SAFIR’) was organized by CUTS International, Jaipur, between April 24 - 28, 2017, at Jaipur. 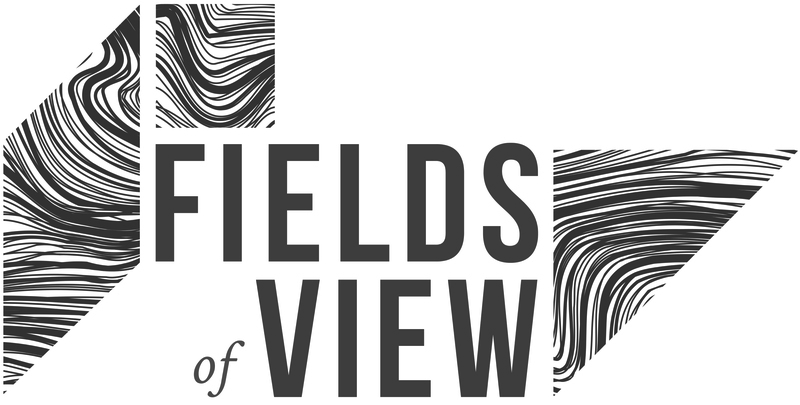 As part of the course, Fields of View conducted the FoV workshop between April 25 and 26, 2017. The training programme had 22 participants predominantly from Electricity Regulatory Commissions from different states in India, and international participants from Bangladesh, Bhutan, and Sri Lanka. One participant was from Tariff Authority for Major Ports. As part of a visit to Jindal Global University, Sonepat, we conducted a City Game session for the students of public policy, and an energy game session for students of economics on April 27, 2017. We attended a panel discussion on ‘Demonetisation: six months later’ held at Bangalore International Centre on May 11. As part of Fields of View’s ongoing initiatives to make the workplace more inclusive, Jasmine Lovely George from Hidden Pockets conducted a moderated discussion on prevention of sexual harassment in the workplace, which included discussions on the law and workplace practices and culture on May 30. Fields of View in collaboration with Okapi, Prayas Energy Group, Shell India, and Pune International Centre organised a workshop on ‘Today’s urban governance, tomorrow’s energy profiles’ between May 30 and 31. Bharath gave a talk ‘Thinking about the future today using simulations and games’ during the workshop.